A wrap-up of events at ACP's annual meeting held in May in Washington, DC. Much of the time physicians spend on patients' paperwork is uncompensated, but insurers usually will reimburse physicians for filling out forms, such as home health plans and copying medical records, that require a significant investment of time. Data on the prevalence of certain diseases and health risks among different populations should surely play a role in crafting public health screenings and education programs targeted to specific groups. Once in the doctor's office, though, a patient's treatment is an individual matter. Leadership Day attendees focused on three key areas when they met with their congress people for comprehensive payment reforms. Blame the rising rate of prostate cancer on better testing. Blame it on the ubiquity of the disease as men age. Just don't blame it on the pathologists. They feel bad enough. Expert offers recommendations on UTIs, sinusitis and MRSA. Opinions on pharmacy benefit managers, imaging, ethics and primary care. It's not too late to start reporting quality data to Medicare and receive a bonus payment. Learn how to submit claims on 15 consecutive eligible Medicare patients to receive a bonus of 1.5% of allowed Medicare charges from July 1 to Dec. 31. The case of a young woman mistakenly diagnosed with asthma llustrates the danger of confusing correlation and causation. The Genetic Information Nondiscrimination Actâ€”the first civil rights bill of the new century of the life sciencesâ€”affords nationwide protection from discrimination based on genetic heritage. What's new from other areas of The College's Medical Knowledge and Education offerings. The Health Care Innovations Exchange Web site informs users how their peers have tackled common problems such as appointment scheduling or monitoring glucose levels of hospitalized patients. Returning primary care to the foundation of health care delivery and adopting the patient-centered medical home as the central hub for each patient's care holds great promise for fostering a system that patients welcome and young physicians find appealing. 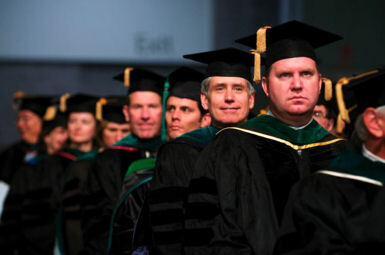 This issue highlights events at Internal Medicine 2008, the College's annual meeting.